Columbia, MD – September 23, 2015 – SolarWindow Technologies, Inc. (OTCQB: WNDW), a leading developer of first-of-their-kind transparent electricity-generating coatings, today announced that the company’s latest products will be engineered as transparent, tinted, flexible veneers that installers can apply directly over top of existing windows on tall towers and skyscrapers. This expanded product line broadens the company’s market reach beyond new and replacement installations, to include windows currently installed on the estimated five million commercial buildings constructed in the U.S. alone. 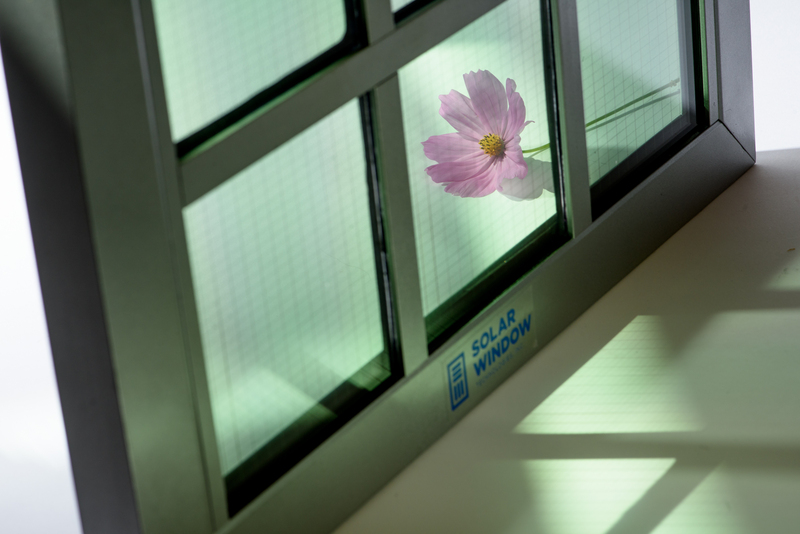 Today’s product expansion announcement follows the successful unveiling of SolarWindow™ working prototypes for new construction and replacement windows, only weeks earlier. These latest retrofit systems will be developed in addition to the SolarWindow™ products already under commercialization. SolarWindow™ achieves the industry’s fastest published financial payback of less than one year as validated by a team of independent engineers and at the University of North Carolina Charlotte Energy Production and Infrastructure Center (UNCC-EPIC). Engineers envision installing SolarWindow™ products on all four sides of tall towers, generating electricity using natural, shaded, and even artificial light. Conventional solar does not work in shaded areas or perform under artificial light. As a result, SolarWindow™ modules outperform today’s rooftop solar by as much as 50-fold more energy generated when modeled for installation on a 50-story building. A single installation of the company’s SolarWindow™ technology is calculated to avoid 2.2 million miles of vehicle pollution, at least 12-times more than today’s solar systems on building rooftops; and could reduce carbon emissions equivalent to 770 acres of forest, compared to today’s rooftop (PV) systems equivalent to only 20 to 70 acres of forest, according to engineers. Today’s milestone announcement comes on the heels of the company’s August 20, 2015 webcast that revealed for the first time its revenue, industry partnership, and build-out strategy for bringing SolarWindow™ products to market. The event featured SolarWindow and industry experts discussing the company’s technology objectives, commercialization path, recent technological advances, logistical challenges, and breakthroughs. Click here to view the complete webcast.